Industry 4.0, IIoT, and digitisation are currently some of the most-discussed and yet least understood topics within manufacturing today. With still a lot of confusion surrounding Industry 4.0, today we’ll be exploring the key technologies behind Industry 4.0, as well as real-world applications. Industry 4.0 is signalling a change in the traditional manufacturing landscape. Also known as the Fourth Industrial Revolution, Industry 4.0 encompasses three technological trends driving this transformation: connectivity, intelligence and flexible automation. Industry 4.0 converges IT (Information Technology) and OT (Operational Technology), to create a cyber-physical environment. These technologies are helping to drive manufacturing’s digital transformation through the integration of previously disparate systems and processes through interconnected computer systems across the value and supply chain. Embracing Industry 4.0, digital manufacturing and the interconnectivity that comes with it opens a myriad of benefits for companies, including greater agility, flexibility and operational performance. At the heart of Industry 4.0 is the Internet of Things (IoT). 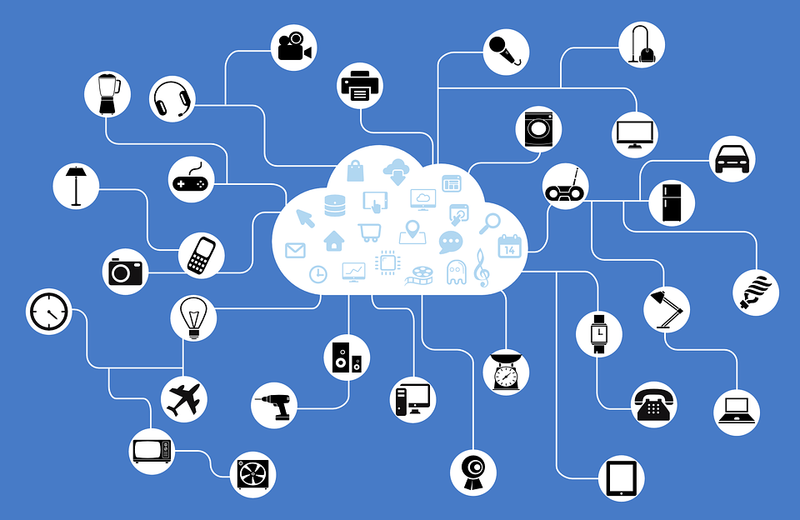 Put simply, IoT refers to a network of physical devices that are digitally interconnected, facilitating the communication and exchange of data through the Internet. These smart devices could be anything from smartphones and household appliances to cars and even buildings. Industrial IoT is a subset of the Internet of Things, where various sensors, Radio Frequency Identification (RFID) tags, software and electronics are integrated with industrial machines and systems to collect real-time data about their condition and performance. IIoT has many use cases, with asset management and tracking being one of the major applications of the technology today. For example, IIoT can be used is to prevent the overstocking or understocking of inventory. One way to achieve this is to use shelf-fitted sensors and weighing devices to broadcast inventory information to your warehouse management system. Putting such a system in place allows warehouse managers to monitor inventory levels, thereby gaining real-time visibility and control over the inventory. Let’s take a look at how BJC HealthCare uses an integrated inventory management solution to achieve cost-savings in its supply chain. BJC HealthCare is a healthcare service provider that operates 15 hospitals in Missouri and Illinois. The company deploys radio frequency identification (RFID) technology to track and manage thousands of medical supplies. RFID technology uses radio waves to read and capture information stored on a tag attached to an object, such as healthcare supplies. Previously, the process of tracking inventory involved a lot of manual labour. However, monitoring inventory manually can be a challenge, since hospitals purchase a variety of products from suppliers and store a lot of items on site for specific procedures. In some cases, products’ expiration dates will need to be closely monitored, while the loss of stock can lead to a lot of time spent on conducting inventory checks. For these reasons, BJC decided to implement RFID tagging technology in 2015. Since implementing the technology, BJC has been able to reduce the amount of stock kept onsite at each facility by 23 per cent. The company predicts that it will see ongoing savings of roughly $5 million annually, once RFID tagging is fully implemented this year. As this example demonstrates, IIoT can significantly improve operations, increase efficiency, reduce costs and provide valuable real-time visibility across the supply chain. Big Data refers to the large and complex data sets generated by IoT devices. This data comes from a wide range of cloud and enterprise applications, websites, computers, sensors, cameras and much more — all coming in different formats and protocols. In the manufacturing industry, there are many different types of data to take into consideration, including the data coming from production equipment fitted with sensors and databases from ERP, CRM and MES systems. But how can manufacturers convert the data collected into actionable business insights and tangible benefits? When it comes to data, the use of data analytics is essential to convert data to information that can deliver actionable insights. Machine learning models and data visualisation can aid data analytics processes. Broadly speaking, machine learning techniques apply powerful computational algorithms to process massive data sets, while data visualisation tools enable manufacturers to more easily comprehend the story the data tells. Ultimately, by taking previously isolated data sets, collecting and analysing them, companies are now able to find new ways to optimise the processes that have the greatest effect on yield. 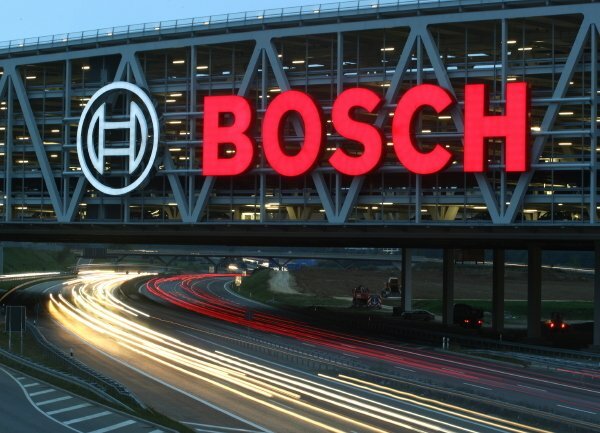 Combining IIoT and Big Data is a recipe Bosch is using to drive the digital transformation of its Bosch Automotive Diesel System factory in Wuxi, China. The company connects its machinery to monitor the overall production process at the core of its plant. This is achieved by embedding sensors into the factory’s machines which are then used to collect data about the machines’ conditions and cycle time. Once collected, advanced data analytics tools process the data in real time and alert workers when any bottlenecks in the production operations have been identified. Taking this approach helps to predict equipment failures, enabling the factory to schedule maintenance operations well before any failures occur. As a result, the factory is able to keep its machinery running and operating for longer stretches of time. The company states that using data analysis in this way has contributed to more than 10% output increase in certain areas, whilst improving delivery and customer satisfaction. Ultimately, a greater insight into the plant’s operations supports better and faster decision-making throughout the entire organisation, enabling it to reduce equipment downtime and optimise production processes. For decades, manufacturers have been collecting and storing data with the goal of improving operations. However, with the advent of IoT and Industry 4.0, the reality is that data is being generated at a staggering speed and at high volumes, making it impossible to handle manually. This creates a need for an infrastructure that can store and manage this data more efficiently. Cloud computing offers a platform for users to store and process vast amounts of data on remote servers. It enables organisations to use computer resources without having to develop a computing infrastructure on premise. The term cloud computing refers to information being stored in the “cloud”, accessed remotely via the Internet. In itself, cloud computing is not a solution on its own, but enables the implementation of other solutions that once required heavy computing power. The capability of cloud computing to provide scalable computing resources and storage space enables companies to capture and apply business intelligence through the use of big data analytics, helping them to consolidate and streamline manufacturing and business operations. Manufacturers’ global spending on cloud computing platforms is predicted to reach $9.2 billion in 2021, according to IDC. A key factor behind this adoption is the benefit of being able to centralise operations, eliminating so that information can be shared across an entire organisation. According to one IDC survey, Quality Control, Computer-Aided Engineering and Manufacturing Execution Systems (MES) are the three most widely adopted systems in the cloud. Clearly, cloud computing is transforming virtually every facet of manufacturing, from workflow management to production operations – and even product qualification. Connected cars are a big new trend in the automotive industry, having emerged as an opportunity to offer digital added-value services for customers. One of the first automakers to jump on this trend is Volkswagen, which joined forces with Microsoft to develop a cloud network, the “Volkswagen Automotive Cloud”. The technology, planned for 2020, will offer a range of features, including smart home connectivity, a personal digital assistant, predictive maintenance service, media streaming and updates. Volkswagen aims to add over 5 million Volkswagen brand offerings per year to its Internet of Things (IoT) with the help of this cloud service. As the automotive industry makes impressive strides in developing advanced autonomous and electric vehicles, carmakers need to come up with an effective approach of managing and transmitting large amounts of data to their vehicles. Incorporating cloud-based storage and communication platform emerges as an effective way to overcoming the challenges faced by these automakers. While robotics have been used in manufacturing for decades, Industry 4.0 has given new life to this technology. With recent advancements in technology, a new generation of advanced robotics is emerging, capable of performing difficult and delicate tasks. Powered by cutting-edge software and sensors, they can recognise, analyse and act upon information they receive from the environment, and even collaborate and learn from humans. One area of robotics gaining significant traction is collaborative robots (“cobots”), designed to work safely around people, freeing workers from repetitive and dangerous tasks. 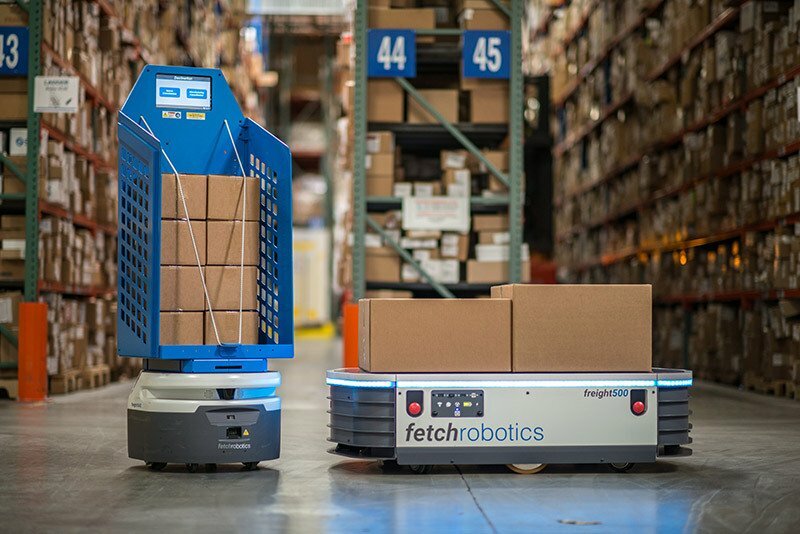 California-based Fetch Robotics has developed collaborative Autonomous Mobile Robots (AMRs) for locating, tracking, and moving inventory in warehouse and logistics facilities. A DHL distribution centre in the Netherlands is using Fetch AMRs to perform pick and place operations. At DHL, AMRs autonomously move across the facility alongside the workers, automatically learning and sharing the most efficient travel routes. Using self-driving robots in this way can help reduce order cycle time by up to 50% and provide up to twice the picking productivity gain, according to the company. As robots become more autonomous, flexible and cooperative, they will be able to tackle even more complex assignments, relieving the workers from monotonous tasks and increasing productivity on the factory floor. 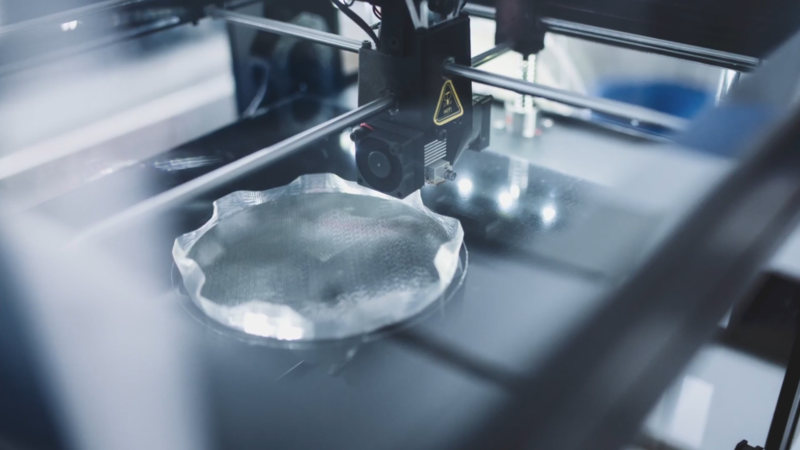 Alongside robotics and intelligent systems, additive manufacturing, or 3D printing, is a key technology driving Industry 4.0. Additive manufacturing works by using digital 3D models to create parts with a 3D printer layer by layer. Within the context of Industry 4.0, 3D printing is emerging as a valuable digital manufacturing technology. Once solely a rapid prototyping technology, today AM offers a huge scope of possibilities for manufacturing from tooling to mass customisation across virtually all industries. It enables parts to be stored as design files in virtual inventories, so that they can be produced on-demand and closer to the point of need — a model known as distributed manufacturing. Such a decentralised approach to manufacturing can reduce transportation distances, and hence costs, as well as simplify inventory management by storing digital files instead of physical parts. There is a multitude of examples of additive manufacturing being put to great use, but a key example is, perhaps, Fast Radius. In 2018, the World Economic Forum named Fast Radius’ Chicago facility as one of nine top smart factories in the world. The contract manufacturer, which focuses on AM but also offers CNC machining and injection moulding, has production sites in Chicago, Singapore and at the UPS Worldport facility. This makes Fast Radius well-positioned to drive its vision of fast-turnaround and mass customisation of products with the help of advanced manufacturing technologies. A key factor behind Fast Radius’ agility and flexibility is its proprietary technology platform. The platform can collect data and findings from every part design that is stored and manufactured in the Fast Radius virtual warehouse. The data helps teams to identify applications suitable for 3D printing and evaluate engineering and economic challenges of producing a component this way. Furthermore, the company offers supply chain optimisation through its virtual inventory. For example, Fast Radius created a virtual parts warehouse consisting of 3,000 items for a heavy equipment manufacturer. With the high costs involved in storing rarely ordered parts, this approach is an innovative solution for supply chain management. 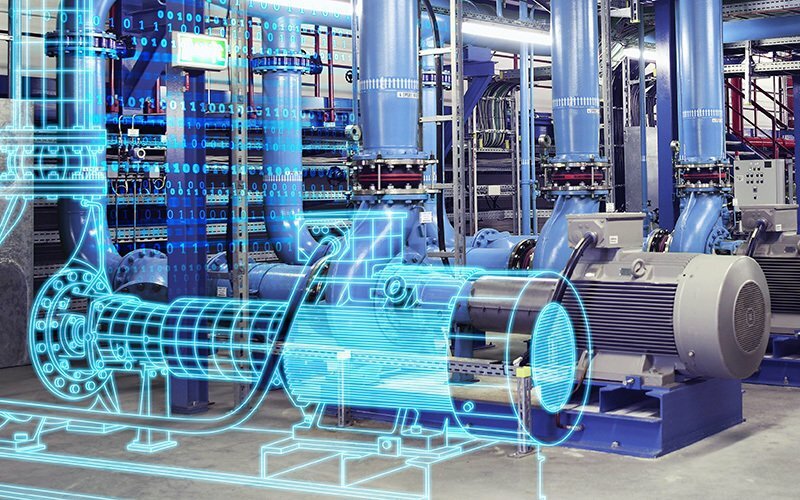 The concept of a digital twin holds great promise for optimising the performance and maintenance of industrial systems. Global research firm, Gartner, predicts that by 2021, 50% of large industrial companies will be using digital twins to monitor and control their assets and processes. A digital twin is a digital representation of a real-world product, machine, process, or system, that allows companies to better understand, analyse and optimise their processes through real-time simulation. While digital twins can be confused with simulation used in engineering, there is much more to this concept. Unlike engineering simulations, a digital twin runs an online simulation, based on data received from sensors connected to a machine or other device. 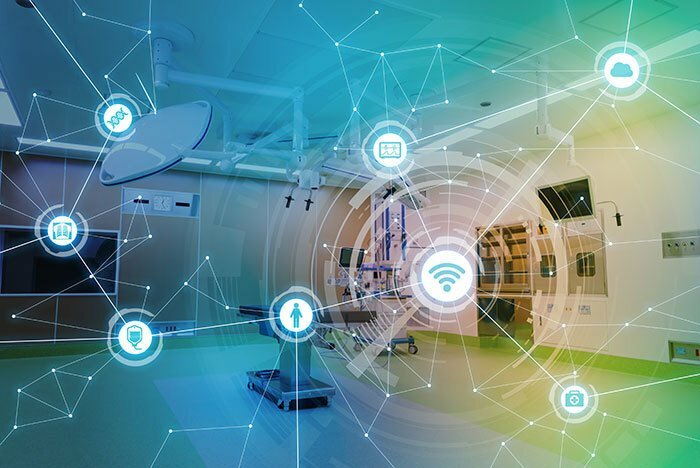 As an IIoT device sends data almost in real time, a digital twin is able to collect this data continuously, maintaining its fidelity with the original throughout the lifespan of the product or system. This enables the digital twin to predict potential issues so that preemptive measures can be taken. For example, an operator can use a digital twin to identify why a part is malfunctioning or to predict the lifetime of a product. This continuous simulation helps to improve designs of products as well as to ensure equipment uptime. This use of digital twins has long been an important tool in demanding aerospace, heavy machinery and automotive applications. Now, advances in computing technology, machine learning and sensors are expanding the concept of digital twinning across other industries. Motor racing teams face extremely challenging requirements when it comes to product development, and American pro racing squad Team Penske is no exception. In a bid to speed up the race car development process, Team Penske partnered with Siemens last year, gaining access to advanced digital design and simulation solutions – including digital twins. Having digital twins provides Team Penske engineers with a virtual test bed for innovating new parts, optimising car performance before they ever touch the physical car. A race car digital twin is based on sensors fitted onto a real car. These sensors collect data such as tire pressure, engine control and wind speed, which is then converted into a virtual car model. It’s this model that allows engineers to test different design configurations, making effective, data-driven design changes at a very rapid pace. For Team Penske, this ultimately equates to cheaper, more resource-efficient product testing process and, hopefully, a way towards developing faster vehicles. Despite its uptake in consumer applications, the manufacturing industry is just beginning to explore the benefits of Augmented Reality (AR) technology. And yet, there is a huge untapped potential for the technology, from helping with assembly processes to helping to maintain manufacturing equipment. Augmented reality bridges the gap between the digital and physical worlds by superimposing virtual images or data onto a physical object. For this, the technology uses AR-capable devices, such as smartphones, tablets and smart glasses. Let’s take a medical instance as an example — a surgeon using AR glasses during a surgical operation. The glasses could overlay data from patient’s MRI and CT scans, such as nerves, major blood vessels and ducts, onto the patient, and highlight them in colour. This helps the surgeon to find the safest path into the region that needs invasion, minimising the risk of complications and improving surgeon’s precision. In the context of manufacturing, AR could enable workers to speed up the assembly process and improve decision-making. For example, AR glasses could be used to project data, such as layouts, assembly guidelines, sites of possible malfunction, or a serial number of components, on the real part, facilitating faster and easier work procedures. General Electric offers a glimpse at how AR technology can empower manufacturing. The company is currently piloting the use of AR glasses at its jet engine manufacturing facility in Cincinnati. Before using these smart glasses, jet engine makers often had to stop what they were doing in order to check their manuals and ensure tasks were being performed correctly. However, with AR glasses, they can now receive digitised instructions in their field of view. The mechanics can also access training videos or use voice commands to contact experts for immediate assistance. During the pilot, GE reports that the productivity of workers using smart wearables increased by up to 11%, compared to previously. Ultimately, this approach could offer a tremendous potential to minimise errors, cut down on costs and improve product quality. Even with this example from GE, we’re still scratching the surface when it comes to implementing AR within the manufacturing context. With new, digital technologies emerging, now is an exciting time for the manufacturing industry. The wave of new technologies opens up opportunities for companies to take steps towards greater flexibility, sustainability and productivity. Industry 4.0 is also facilitating new ways for humans and machines to work together, empowering businesses to achieve greater insights, reduce the risk of error and make better decisions. Ultimately, Industry 4.0 is set to take root across the manufacturing ecosystem. But only by understanding and harnessing the technologies driving Industry 4.0, will manufacturers stay on the cutting edge of this new digital era.